Julian Howard 5-24-80 who lists an Archer, Fl address; was sentenced to 4 years in the Florida Department of Corrections yesterday after a Levy County Jury found him guilty of possession of cocaine during his arrest in October of 2012. He also has an additional year of probation following this sentence. Levy County Sheriff's Office Drug Task Force (DTF) members arrested Howard on October 18, 2012 for an outstanding warrant. During his arrest Howard was found to be in possession of 5.6 grams of crack cocaine and .6 grams of powder cocaine. This was one of Howard's many arrests. His criminal record reflects 24 felony arrests with 9 convictions, most of which are for drugs. Levy County Sheriff's Office works in conjunction with our 8th Circuit State Attorney's Office to continually combat the epidemic of drugs that plague our community. Our citizens will be safe from Howard for a few years allowing our DTF and prosecutors to focus on other drug offenders. 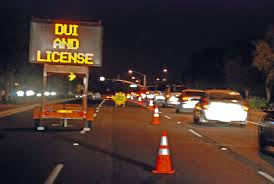 On May 25, 2013 the Levy County Sheriffs Office and Chiefland Police Department will be hosting a Multi agency DUI, driver's license vehicle safety checkpoint on NW 14 Street in the area of NW 22nd Ave from 10pm to 2am. This is part of a statewide effort to crack down on impaired driving over the Memorial Day Holiday weekend. Drivers are asked to have their insurance, registration and drivers license ready when entering the checkpoint. The Levy County Sheriff's Office and the Chiefland Police Department would like to wish everyone a safe Memorial Day. Please do not drink and drive. Social Media proved helpful in solving another case for the Levy County Sheriff's Office. A concerned citizen contacted Law Enforcement after viewing a Facebook post of the suspect, which was captured by surveillance video during the robbery. 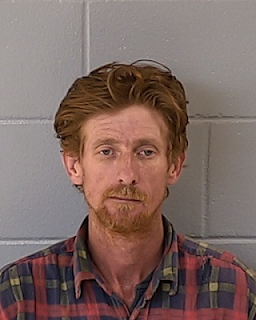 The citizen identified the suspect as Ryan Beach of Gilchrist County. Law enforcement quickly responded and apprehended Beach without incident. Citizens are our best ally and we applaud you. 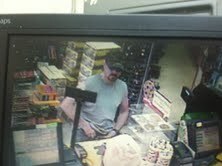 On Thursday May 16, 2013 at 5:49 pm a white male entered the Manatee Jiffy Convenience store located at 8051 NW 115 Street (aka CR 320) and approached the store clerk as if he was purchasing a bottle of 5 Hour Energy. He handed the clerk single dollar bills to pay for the transaction. When the drawer opened, he brandished a handgun and demanded all the money in the till. The suspect fled into Dixie County with Deputies in pursuit but was able to evade capture. He was last seen in the area of BoBo's Trailer Park in Dixie County. The suspect was driving a maroon or burgundy Honda Civic and the Deputies were able to read some of the tag attached to this vehicle. That partial tag number is A17-U. Anyone with information about this person is asked to contact the Levy County Sheriff's Office at 352-486-5111 for Investigator Mike Wilkinson or you can remain anonymous by calling Crime Stoppers at 1-877-349-8477. Escaped Department of Corrections Inmate Frederick Pinckney was captured at approximately 0300 hours by the Department of Corrections K-9 team, LCSO and Chiefland Police Department. An alert citizen called 911 and reported seeing a suspicious person run into a wooded area in southeast Chiefland. The K-9 tracked Pinckney to a residence located at 107 SE 4 Ave and took him into custody. 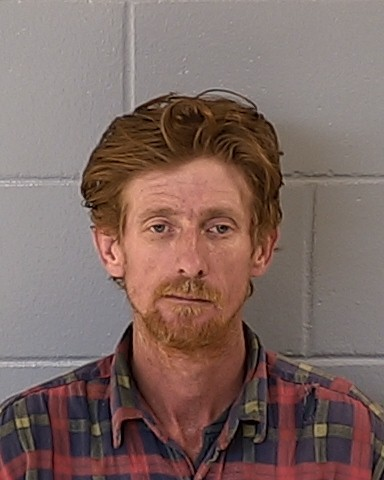 Pinckney was transported to the Levy County Jail and charged with escape. Fredrick W. Pinckney White Male 5-8 200 lbs Hazel eyes and short brown hair. Suspect fled from the Florida Department of Transportation facility on US 27 at 4:45 this afternoon. Pinckney was assigned to a work squad that had stopped at the DOT building to refuel their vehicle before returning to the Cross City Department of Corrections. Pinckney was last seen wearing the DOC blue jump suit with at white stripe on the leg. Suspect is still AT-LARGE. Please DO NOT attempt to apprehend him on you own. Call 911 if spotted. Chiefland citizens are asked to please lock your homes and vehicles until he is captured. The Levy County Sheriff's Office arrested three Williston juveniles after conducting a separate investigation stemming from the Williston Crab Festival held on April 27, 2013. After interviewing multiple witnesses and collecting evidence from the scene, Investigators discovered there were actually two separate and distinct incidents that occurred that night. Concerned citizens voluntarily gave law enforcement copies of videos and photographs recorded during the evening of April 27, 2013. After reviewing the media files, Investigators learned of a separate, second incident involving a fight between Williston and Gainesville teens. During this second incident, one of the Williston teens pulled a firearm from his partner's waistband and displayed it to their rivals. A second Williston teen took possession of the firearm and fired an estimated four rounds into the air. The Williston teens' reckless actions only exacerbated the crowd's fear and confusion stemming from a shooting that occurred moments earlier. 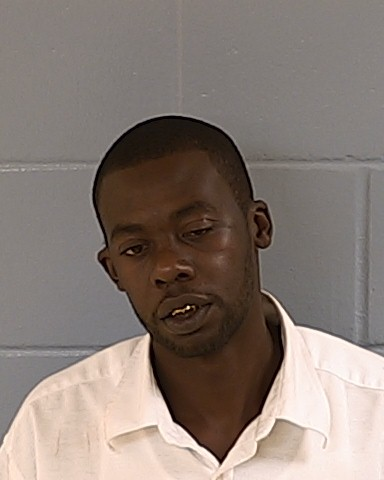 The charges include Violation of Probation (curfew violation), disorderly conduct and reckless display of a firearm. On May 8, 2013 Timothy L. Cobb - 40, a Bronson native, accepted a court negotiated plea for 5 years in the Florida Department of Corrections for his charges. He had been arrested on in February of this year by Levy County Sheriff's Office Cpl. 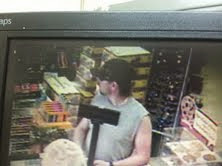 Mike Bell for a string of burglaries and thefts in Bronson. This is the 4th time Cobb has been sentenced to prison for his crimes, including one stint in Federal Prison in 1998. Cpl. Bell began investigating Cobb in December of 2012 when reports of burglaries and thefts were received from Bronson businesses. Cobb, who has a long history with the Sheriff's Office, had recently been released from prison. Cobb is known to Law Enforcement to have a drug dependency problem. Cpl. Bell ultimately built his case and arrested Cobb for a myriad of crimes from 3 of these reported cases. When Levy County Sheriff's Office identifies repeat offenders as new suspects, WE make these cases our priority. Repeat offenders pose a greater threat to the safety OUR citizens.